We’re thrilled to have the delightful and talented Mary Lee Ashford visit today as our Guest Chick! To celebrate the release of GAME OF SCONES, the first book in the Sugar and Spice Mystery series, Mary Lee is doing a GIVEAWAY OF a copy of the book (ebook or print, winner’s choice), plus a GAME OF SCONES T-shirt to one lucky commenter (Please include your e-mail address with your comment so author can contact the winner)! Take it away, Mary Lee! I am so excited to be writing this new series as I’ve been a reader of culinary mysteries for years. I love the theme (and the recipes), but still for me a story is always about the people. Who are they? What makes them tick? Why do they make the choices they make? And where do they live? In this particular story, it was that last question that I spent a lot of time thinking about. You’ve heard the saying attributed to Mason Cooley, “Reading gives us someplace to go when we have to stay where we are.” Stories are like that for me. I often travel without leaving my chair. So, when I was deciding on the setting for the Sugar & Spice Mysteries, I thought quite a lot about where Sugar and Dixie, the two main characters, should live. I wanted a town that was not too big – it’s just that kind of story – but big enough for a murder mystery or two without wiping the town off the map. After a great deal of thought and inspired by my friend, Holly Jacobs, who shares her love of Erie with her readers, I decided to share my love of the Midwest and set the series in Iowa. St. Ignatius is a fictional town but it has many of the elements I love in the beautiful small towns around the Iowa. A central courthouse, a town square, unique little shops, and, well, shall we say, interesting characters. Writing about it has reminded me of all my home state has to offer, and I’m hoping it will be a town readers will want to visit again and again. After losing her job as food editor at a glossy magazine, Rosetta Sugarbaker Calloway—aka “Sugar” to her friends—isn’t sweet on accepting defeat and crawling back to her gossipy southern hometown. So when she has an opportunity to launch a community cookbook business with blue-ribbon baker Dixie Spicer in peaceful St. Ignatius, Iowa, she jumps at the chance to start over from scratch . . . But as Sugar assembles recipes for the local centennial celebration, it’s not long before she’s up to her oven mitts in explosive threats, too-hot-to-handle scandals, and a dead body belonging to the moody matriarch of the town’s first family. With suspicions running wild, Sugar and Spice must solve the murder before someone innocent takes the heat—and the real culprit gathers enough ingredients to strike again. Are there certain fictional towns you love to visit again and again? Real life locales, maybe vacation spots, you can’t wait to get back to? Comment below — and remember one lucky commenter will WIN a copy of GAME OF SCONES and a T-shirt! WINNER in the drawing for the GAME OF SCONES book and T-shirt is Christi King! Congrats, Christi! Previous post ← A Night of Magic… literally and figuratively. Personally, I’ve fallen in love with visiting small Southern towns. Like what you describe, they have the town square, courthouse, etc. Maybe there was a plan for how to build a city back then????? Looking forward to learning about your Iowa locations. Congrats on the new series. Thanks, Debra. I too love those small Southern towns. It’s interesting how the town square became so important and how some have continued to be the cultural center. Here in small town New England, they still call the squares “greens.” I think many started with sheep grazing in the middle, and the church and other buildings (homes/shops/meeting house)surrounding them. I love food mysteries! The scones on the cover have me wanting to make some now! I do love returning to the small towns and villages that mysteries have. It does make one wonder how there are people left in some of these, with all the murders! Thank you for giving away a copy of this new book and the shirt. I love food mysteries too! Didn’t Kensington do a great job with that cover? It makes me want scones every time I look at it! Gram, you’ve got that right! What a delightful new series! Some years ago I took a solo car trip to north central Iowa to do research for a journal article on a transplanted ex-Civil War soldier from Vermont. I was amazed at how rural this part of Iowa is and how little changed from the 1800s. On another note, I’m wondering if you include a recipe for scones in the book and if so, whether they’re baked or cooked on a griddle like my Scottish grandma used to do. Best of luck! I’ve got my grandmother’s recipe. Think I’ll try them this Christmas! Thanks, Liz. That is a bit of a danger. LOL When I’m researching recipes I want to try out everything I find! Mary Lee, I love cozy towns! Congrats on the new series — and thanks for hanging out with the Chicks today! Thanks, Vickie! And thanks for letting me hang out with the Chicks today!! I love the feeling of community that good cozies bring in each book but like you, it is the people I love the most. Having moved around the US in my youth, I can relate to the special feeling that small towns bring and love traveling to new ones through books. 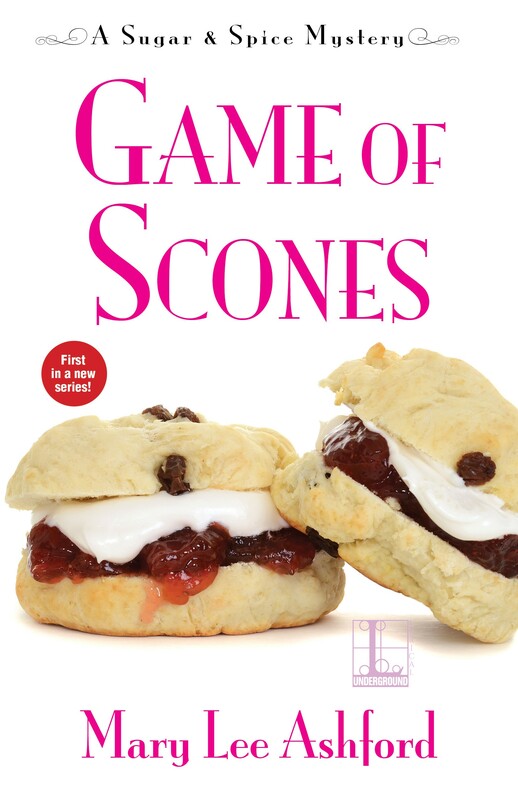 I am glad I already have my copy of Game of Scones. Now just have to find time to read it. I agree Jeanie, that small town feel is part of what I enjoy about cozies, but ultimately it’s the people that make the story for me. Hope you enjoy Game of Scones! I’ll be interested in what you think of Sugar and Dixie and some other characters in the story that I had fun writing. All the series I read, if well written, make me fall in love with the characters as well as the setting. It is through the books that I am able to travel all over the world without the expense and also without leaving my home. Thank you for the opportunity to enter the giveaway. So true! If it’s a great read I feel like I’ve had a mini-vacation. Good luck in the drawing! I would love to visit St. Ignatius! When I first moved to my area I visited a nearby town & was so excited because it looks just like the setting of a cozy mystery. Jana, I’m currently working on book three in the series (book two is already turned in) and I’ve been really excited to revisit St. Ignatius and its residents! We always loved going to Mountain View, AR in the Ozark Mountains. It’s a very small town with population of less than 3000. It’s a town that still has the courthouse square where people gather to play horseshoes or just to sit and visit. It’s also the Folk Music Capital of the World with lots of music events from the pick “n” park to the concerts at the Folk Center. Whenever, we could slip away for a couple days, that’s where we wanted to go to unwind and relax. We loved it so much that last year we sold out and moved lock, stock and barrel to our favorite destination. We have never looked back and never regretted it. We love the area for natures beauty, the wonderful and friendly folks and that there is always something to do if you so choose. We are visited daily by numerous critters from eagles landing in the front yard to 8 deer in the back yard or a family of raccoons at the bird feeders that keep us delighted and entertained. As the guy said once on the Andy Griffith Show – We made it our hometown! I love to read stories both around areas I’m familiar with where I can try to find places I have been to, but I also love fictional towns where you can meet new folks and explore places as they might be. Thank you for the fabulous chance to win a print copy of “GAME OF SCONES” (which I’m dying to read) and an awesome t-shirt! Kay – Yes, horseshoes! I grew up in a small town and one of the things I’ve loved about writing this series is the chance to remember and revisit all of those things that are wonderful about small towns. Mountain View sounds like a great place! Thanks, Nancy! You described it exactly. What I love about favorite characters and settings is that “cozy” feeling. The setting certainly worked for me. I enjoyed this debut, and I’m looking forward to visiting again. Thanks, Mark. St. Ignatius was great fun to write and seemed to me like that perfect spot for Sugar and Dixie! I always enjoy small towns with a lot of history. I love small town settings. I am so excited to read this series set in the midwest as I grew up in a small town in Central Illinois and still live near there. Sharon – Thanks! I love small towns in the midwest. Hope you enjoy reading about St. Ignatius. Leslie – Scones definitely are best right out of the oven! And strawberry jam and clotted cream are my favorite toppings too. Louise Penny’s Three Pines come to mind. I like Canada. Gloria – Three Pines is always one use as an example of a book place that feels so real. Beautifully described by Louise Penny! Love culinary cozies and scones! I really love visiting Holland MI, it’s a small town on Lake Michigan and has a lot of charm. I like reading cozies set in small towns and in the Midwest. Love scones, looking forward to reading “Game of Scones”. I’ll have to check out Holland, MI. It sounds like my kind of town! Taylor, I agree. There are so many I’d like to visit in person. I also watch a lot of British mysteries on tv and I’d love to visit some of those towns too! I love reading stories that take place in Louisiana! Thanks for the chance! 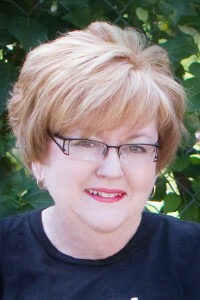 Jaime, have you met my Cajun Country Mystery series? This comment has been brought to you by “I Couldn’t Resist.” Back to Mary Lee’s comments. !